Support Meetings? Field Trips and Activities? Co-op Classes? Drama? Sports? Speech and Debate? Below is a list of groups in the Southwest Wisconsin Area. If there isn’t a link for the group, please send a short email message to swischomeschools@gmail.com and your request will be forwarded to the group to contact you. Homeschooling is an educational choice that suits thousands of families from urban areas with big city opportunities to rural farm areas. According to the Wisconsin Department of Public Instruction, nearly 20,000 students are being homeschooled (this does not including charter and virtual school students). Many districts in Southwest Wisconsin have a higher than average percentage of homeschoolers including: Ontario, Hillsboro, Cashton, Viroqua, Richland Center, Kickapoo, Seneca, and Prairie du Chien. Just as homeschoolers are all very different — in their families, lifestyles, and curriculum choices; every homeschool group is different. Whatever your reasons or methods, there is probably a group for you! Some groups are inclusive and welcome all philosophies. Some are exclusive to a specific type of religion, thought, or curriculum. If you are part of a Virtual Charter School program, you may want to indicate that when you contact a group. Most groups have a website or email loop, which allows you to stay in contact regardless of where you live. Interacting online is a great resource for sharing information and asking questions. Many groups coordinate shared activities and have meetings and get-togethers in real life. Sports groups in the general area are listed here. 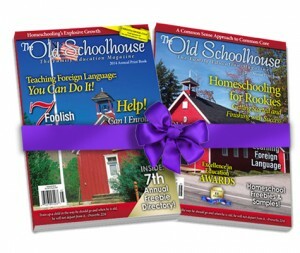 SW Wisconsin Community of Homeschools – Membership website open to any family in the general area of southwest Wisconsin whose children are learning at home by any method of home based education or through virtual/charter school – and those with children who are not yet school-age. A small annual fee (less than $10) keeps your membership subscription active. You do not need to be affiliated with any local homeschool support group to join. La Crosse Area Connections for Home Educators – web group for the Greater La Crosse area including surrounding counties; lots of information and shared events. You will need a private invitation to join and access the website. Small annual membership fee. Tomah Area Christian Home Educators – web group covering large area of Monroe, Vernon, LaCrosse counties; growing group with much information being shared. Part of SW Wisconsin Community of Homeschools. Small annual membership fee. Hillsboro Area Homeschoolers – group of Christian families in the Hillsboro area; with a weekly family activity, monthly Mother’s Meeting and other field trips, etc. through the year. Richland County Home Educators – web group for all homeschoolers in and around Richland Center/County providing friendship and encouragement through e-mail. Viroqua & Westby Area Homeschoolers – email loop, monthly Parent’s Meeting, annual used book sale, annual Project/Talent Night, weekly gym classes. Driftless Homeschool Network. Membership is free. Kickapoo Homeschool Cooperative– A group of homeschooling families living primarily in Vernon County. No membership fee. Everyone is welcome to participate in the events, classes and gatherings shared by members. Madison Christian Co-op is for those families who are committed to Christ and His word. It is designed to encourage families through a grace-filled supportive network as we share talents and resources to refresh one another in our endeavor of preparing our children for a lifetime of gospel-centered service. The inspiration that we offer one another will, by God’s grace, make a marked difference as we embark on the adventure of home instruction. We meet Fridays; classes include art, science, and gym. CIRCLE (Children in a Respectful Co-operative Learning Environment) – Groups in Milwaukee, Madison, Rockford, and Fox Cities. Lake Mills Homeschool Families – Support group for families in Lake Mills and surrounding area. Field trips, lending library, teaching coops,monthly meetups, and more. Christian Home Educators of River Falls (CHERF) home school, co-op groups, river falls, western wi, wi, homeschool, support group. HomeStars (a homeschool support ministry of Bethesda Lutheran Brethren Church) serving Eau Claire and neighboring communities. REACH Homeschool Co-op (Reaching for Excellence in Academic Christian Homeducation) – Cooperative educational ministry of approximately 40 families in Central WI. State Line Homeschoolers (Green County) A group for people homeschooling in or around Monroe, Wisconsin. This is an inclusive group; all homeschooling philosophies and religious paths are welcome. Rock Valley Home School Group – Janesville, Beloit, and Rock County area. Christian Home Educators Fellowship (formerly called the Tri State Homeschool Network) is a large and active support group serving the tri-state area of Iowa, Illinios and Wisconsin. Most activities are in Platteville, Wisconsin. They offer a Parents Night to encourage homeschooling parents and those considering it, drama, Purity Ball (encouraging the youth to consider remaining pure until marriage), Senior Banquet, Mother / Daughter Tea, Graduation, and much more. Tri-State Homeschool – Separate from the support group, this Yahoo Group is a general homeschool resource that lists events and activities in the tri-state area. Platteville Area Homeschool Co-op is a network of families working together to create educational and social enrichment for a variety of ages and learning styles. Christian Home Education Alliance of Dubuque (CHAD) is a mixture of Protestant and Catholic families who homeschool in the Dubuque, Iowa area. Loving Moms for Nature and Outdoor Play Centered around beautiful Jo Daviess County, Illinois – but just a short hop, skip and jump from our urban neighbors Rockford, IL; Dubuque, IA and Monroe, WI. Come join us and watch your kids flourish while they explore. ALL ages are welcome! Shakespeare On The Edge – Green County and beyond. Outreach, prevention, classroom workshops on bullying, anti-peer pressure, relationships and communication, and offers full length Shakespearean performances. Richland Area Speech & Debate Club – “Cognito” is Not active at this time. It can be frustrating trying to connect with other homeschoolers. and each year may bring a different contact person. This listing is provided as a courtesy to our website readers. Inclusion of a group does not constitute endorsement of the group. Parents are encouraged to research the philosophy and practices of any group considered. and your request will be forwarded. I have gotten a couple of emails but no email with the link to the La Crosse group (unless somehow they’re not getting into my inbox). I definitely could use some advice because I’m really struggling getting my six year old to do ANYTHING. Part of the issue is that I have no experience at all with teaching. My husband is the one who has at least had some experience but he’s working full time and it’s all kind of fallen on me and getting my daughter to sit down and do anything is next to impossible. There are just too many other things she would rather do. I’m sure it’s a matter of not having the imagination to figure out just what she wants to do but it’s frustrating, to say the least so not much teaching is getting done. I’m really worried that she’s going to end up falling behind. There are so many ways to homeschool, sometimes it’s a matter of understanding why we’re bothering to do it in the first place. It can be difficult to find what works for your family and sometimes you need to throw out the old ideas and try a new way. One thing that always helped me with my kids is to focus on them learning and less on me teaching. I have to remember that I’m the mom first — and that I don’t just love them, I really like them — and take it one day at a time.